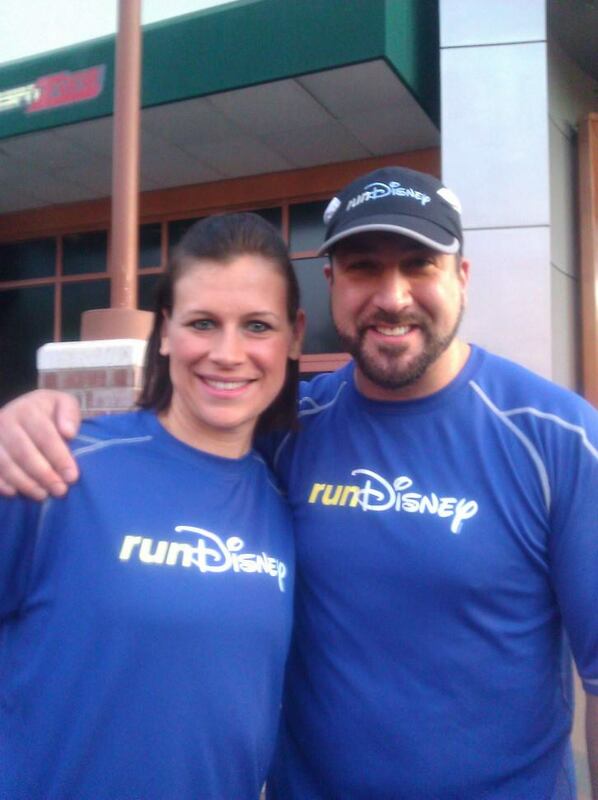 A blog about Disney, running, and a crazy family who loves it all! Less than a month to go! I love reading race reports from previous years to get my psyched up for this year's race. Here's another Throwback Thursday for you. If you missed the others, check them out HERE & HERE & HERE & HERE. 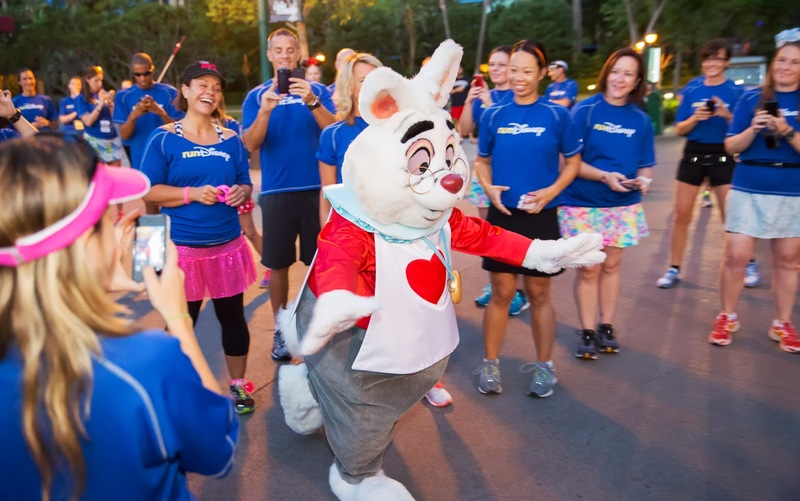 This one's a little different; it's about the meet-up, which runDisney has stopped offering (insert hysterical crying, whining, pouting, etc here). I was very lucky to get into the last west coast meet-up. 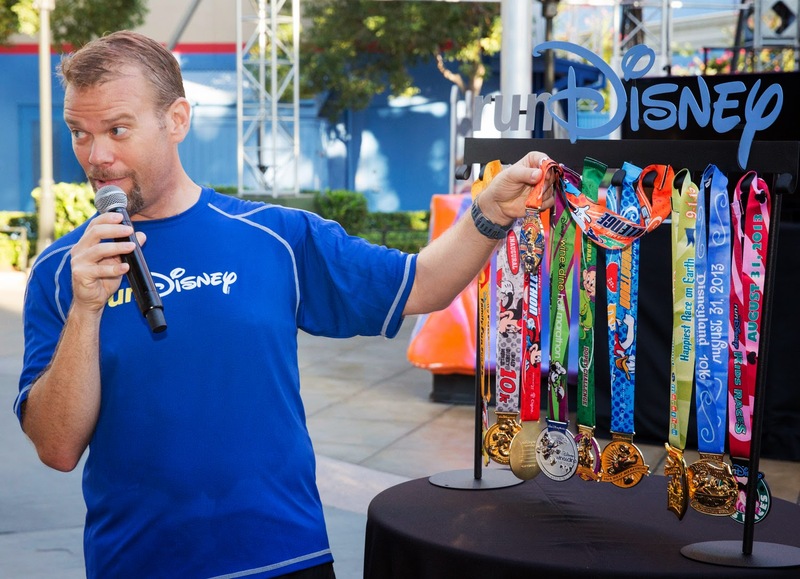 runDisney, if you're listening, bring it back! 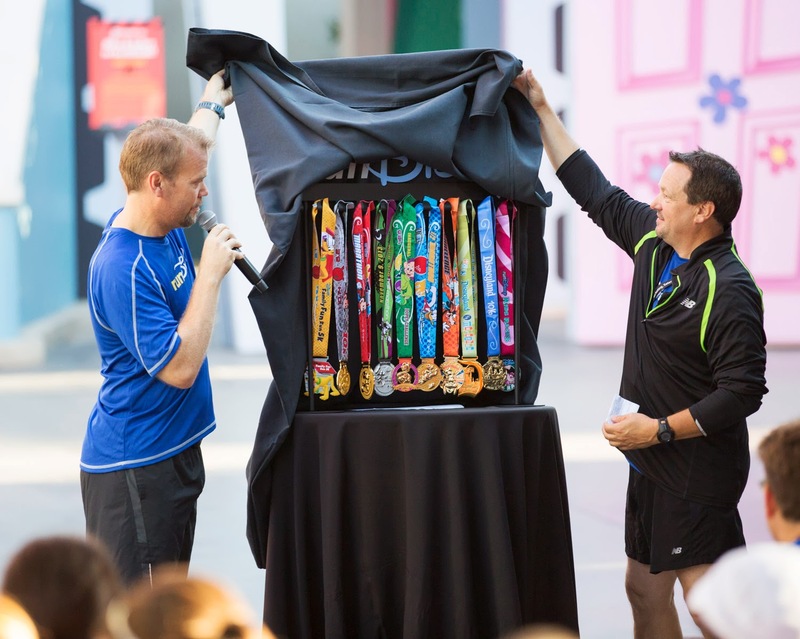 This was such a truly magical way to start the race weekend! 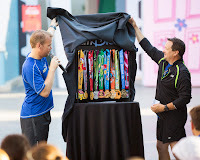 Here is my recap of the first part of my weekend: the runDisney Meet-Up/Tweet-Up. This was the first time I got in! I was so stinkin' excited I barely slept the night before. It made the 4:30 wake-up call a little hard to take, but the excitement replaced my tiredness (well, except in the pictures...I look VERY tired in all of my pictures!). The swag was great! We got full-size lotion and body wash from H2O, pins from ABC from the new series Once Upon a Time in Wonderland, a park-hopper ticket, buttons, and the bag was a great reusable shopping bag. 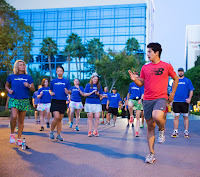 I met some fun people from a few Facebook groups I belong to, and before we knew it, we were off and heading to Downtown Disney. 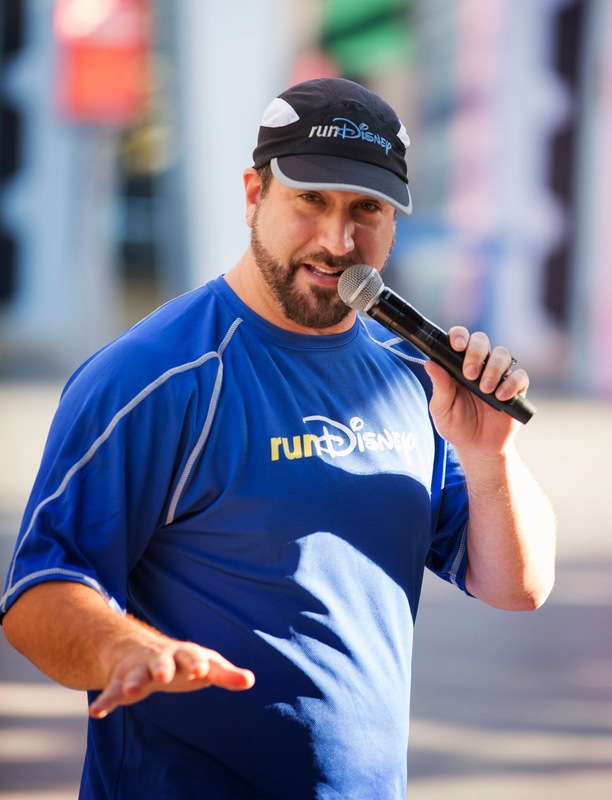 Our first stop was right across the street to be formally greeted by the runDisney staff and introduced to all the celebs joining us (hellllooooo--Joey Fatone, Ali Vincent, Sean Astin...yes, please!). 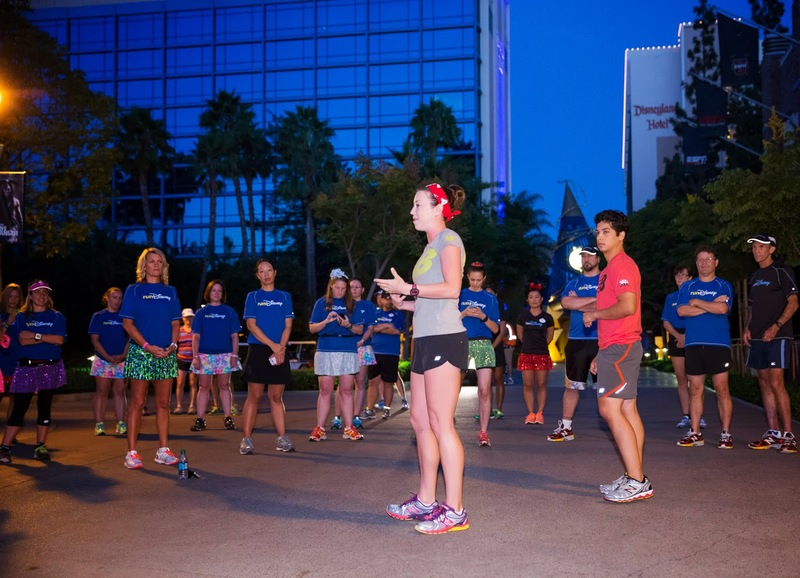 We were also introduced to all the runDisney staff & consultants. 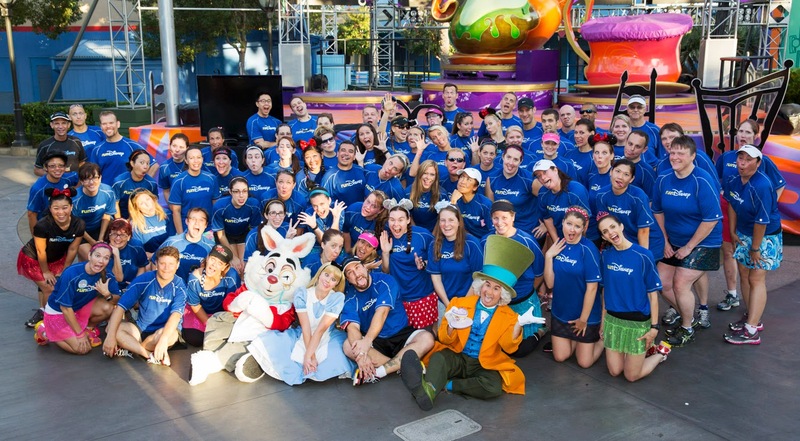 I have to say, this is one group of happy people! New Balance then presented their Good Form Clinic, abbreviated. 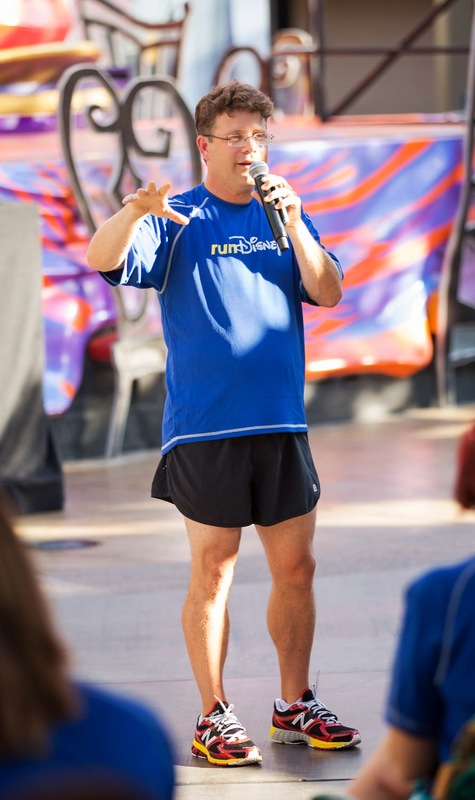 They talked about how to correct your form to be the most efficient runner. 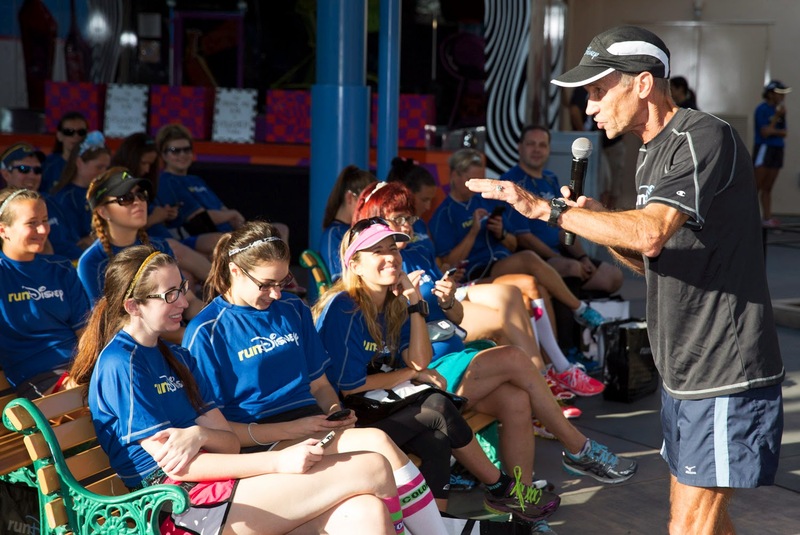 I actually found myself thinking back to those tips throughout the many runs of the weekend--thank you New Balance! 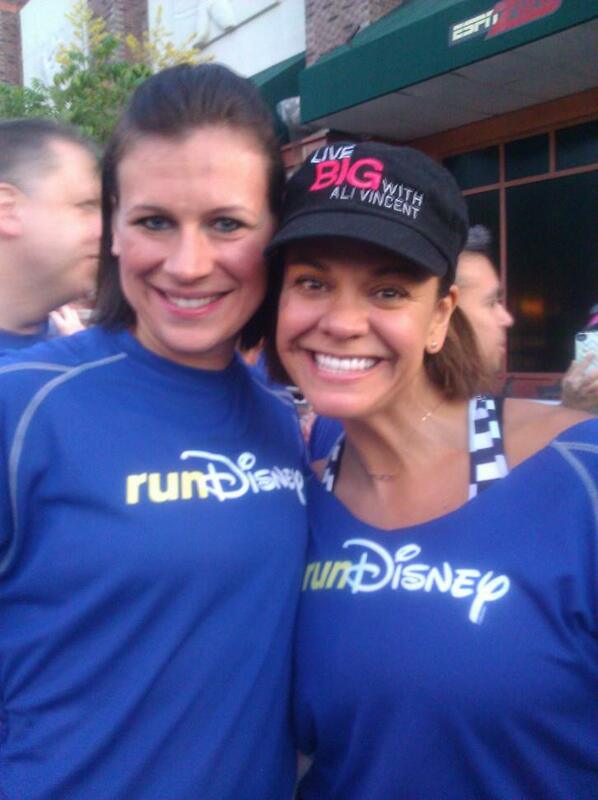 Ali Vincent is a doll! 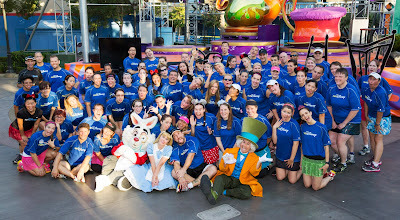 Quickly, we were in for our first surprise: the White Rabbit came out of nowhere! We were late, we were late! 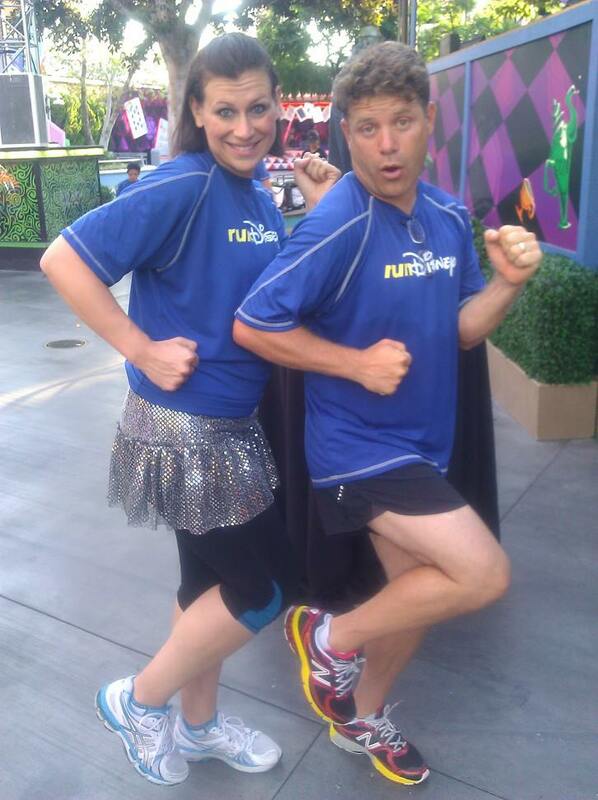 Then off we went on our run. I chose the "slow" group--figured what was the point in killing myself now. I had another 19.3 to run after this! That gave me plenty of time for a few pictures. And the first moment of--damn, I should have brought a good camera, or a least not had my crappy phone with me. My 16 year old self just died! 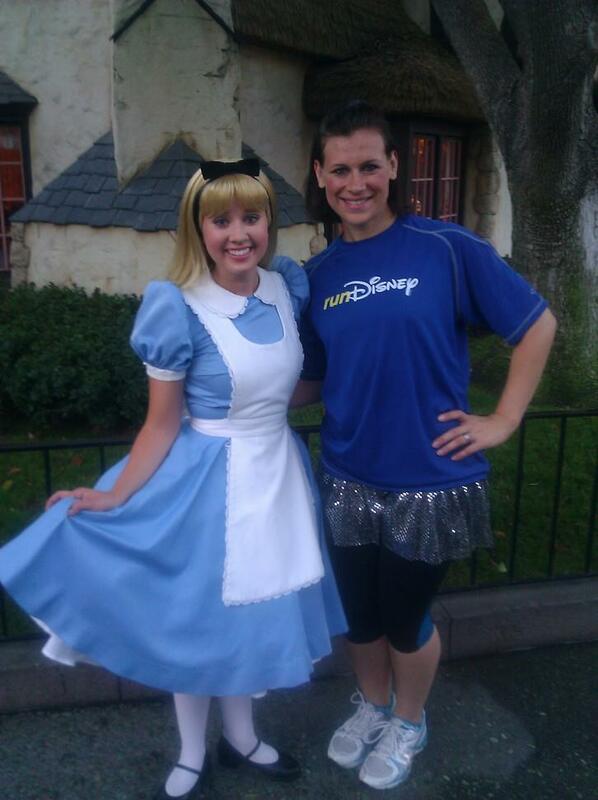 runDisney planned some other fun surprises--photos with Alice and a spin on the teacups, of course with no line! 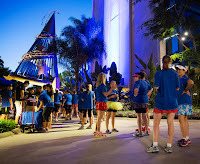 We ended the run in California Adventure where we had breakfast and were treated to great speakers. 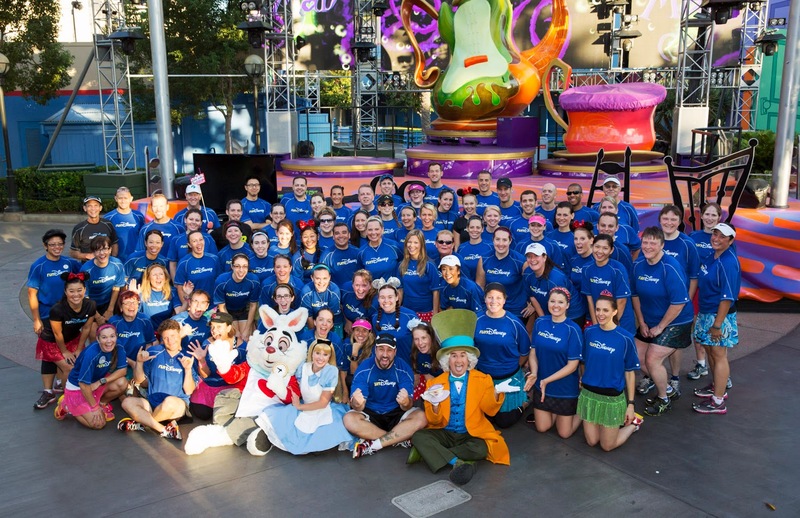 I have to give it to them--all the celebs and runDisney folks were so inspiring and all gave great bits of advice. 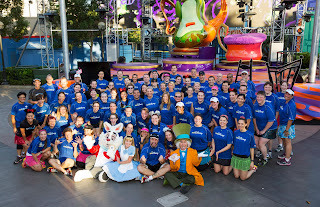 THANK YOU runDisney for the most magical start to a race weekend I've ever had! 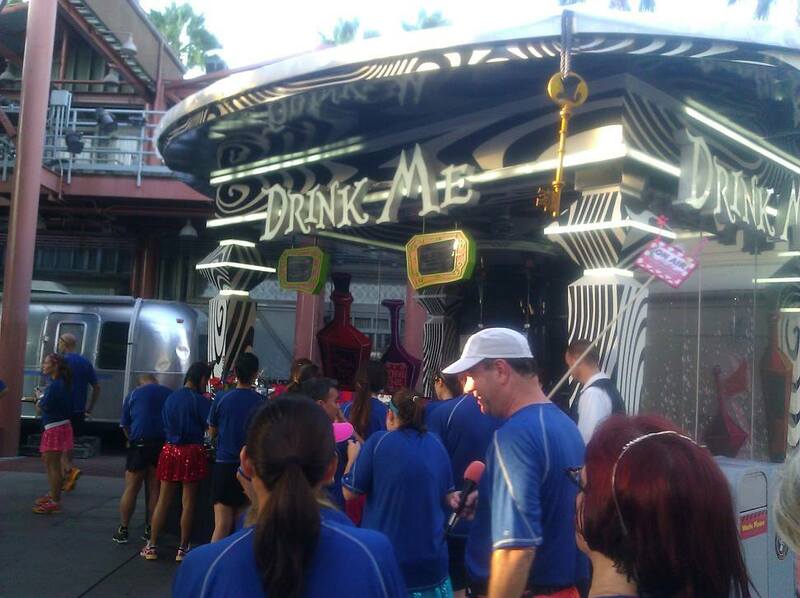 I hope to be back--I'll start stalking the blogs now for January! 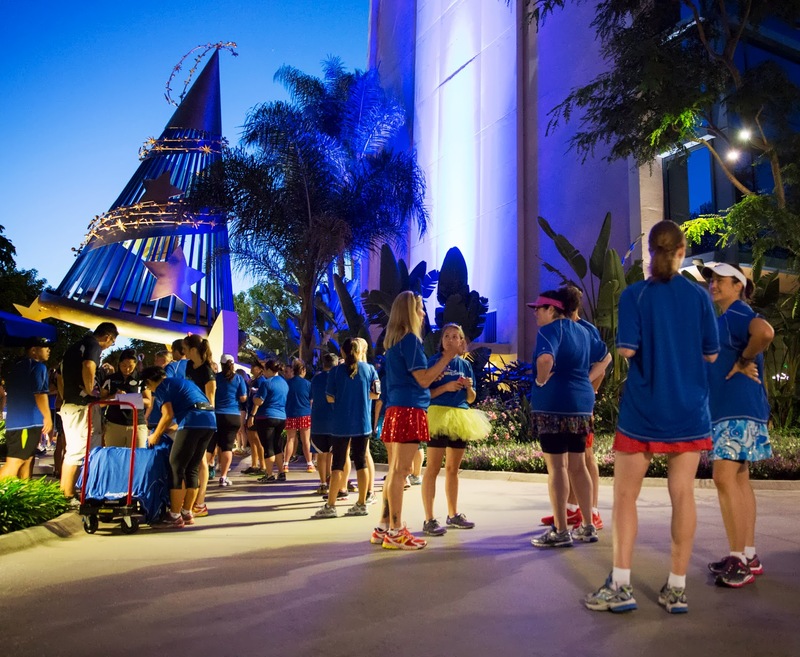 Visit Disney Runs's profile on Pinterest. Do I have enough “Faith, Trust, and Pixie Dust”? Road to Recovery: One step at a time!